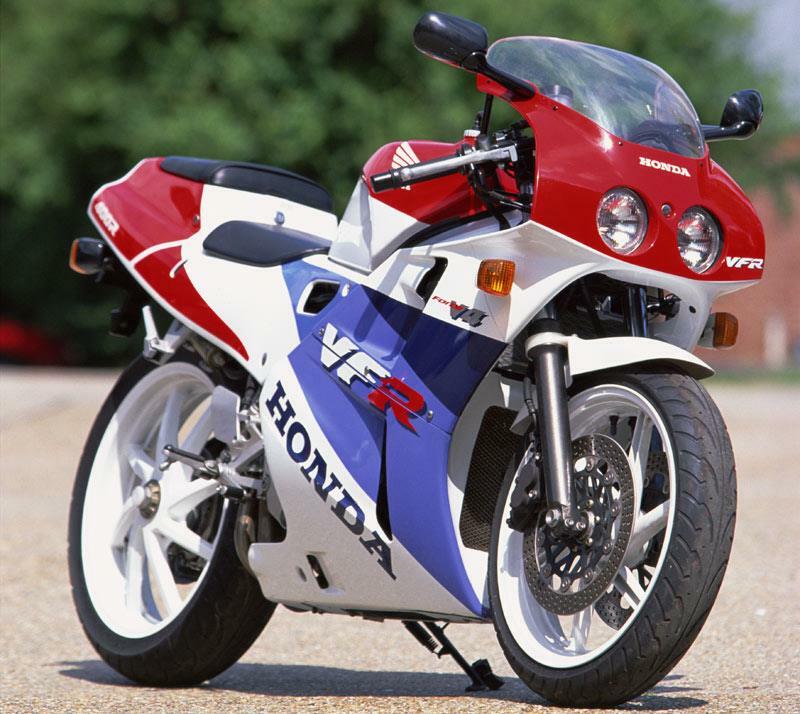 The Honda VFR400R, or NC30 as it’s commonly known, is effectively a 400cc version of the iconic VFR750R (RC30) and as such is a cheaper alternative to the RVF400R which succeeded it in 1994. It has excellent handling, still looks good and a usable engine for road and track, although it’s not as quick flat out as some of the other 400 imports. The Honda VFR400R is lightweight, small, agile, and carries scary amounts of corner speed. 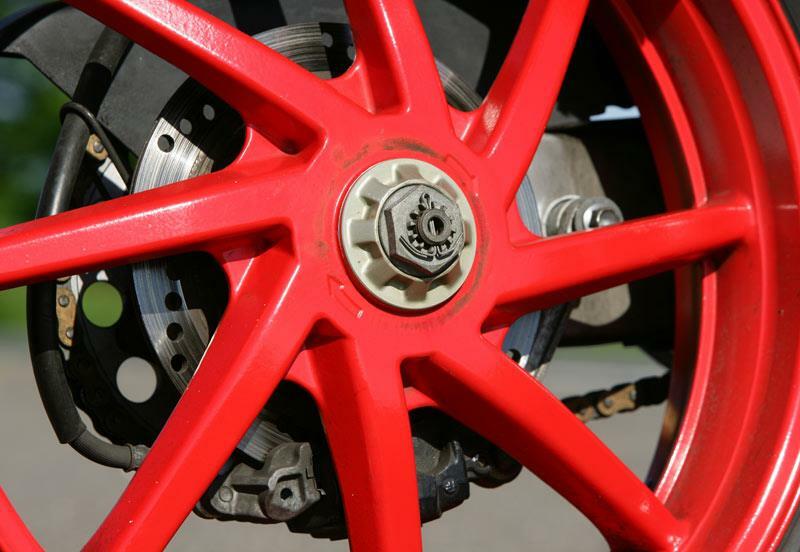 Brakes are impressive, however most have their suspension set up on the soft side and require some adjustment. The 18-inch rear tyre also limits choices, but can still cut it on the road and track. The Honda VFR400R’s water-cooled DOHC V-four produces just short of 60bhp, but its usability comes from its very flat torque curve, compared to other racy 400cc imports. However this gives the feeling the bike is lazy which it certainly isn’t, deceptively quick and still revs to 14,500rpm. The Honda VFR400R/NC30 has a high level of finish and typical Honda build quality. At the time it was considered advanced with is tiny V- four, single-sided swingarm and huge aluminium twin beam frame. Engines have proven reliable as long as they remain standard and serviced, however tuned engines can have crank problems. The Honda VFR400R/NC30 always held its prices high due to desirability and ease of use. However if you shop wisely you can grab a bargain. It’s an arguably iconic bike for around £2000 and in many ways it makes much more sense than its pricier brother the RVF. Find a Honda VFR400R for sale. The Honda VFR400R comes with 41mm conventional adjustable forks compared to the inverted items you find on the later RVF400/NC35. 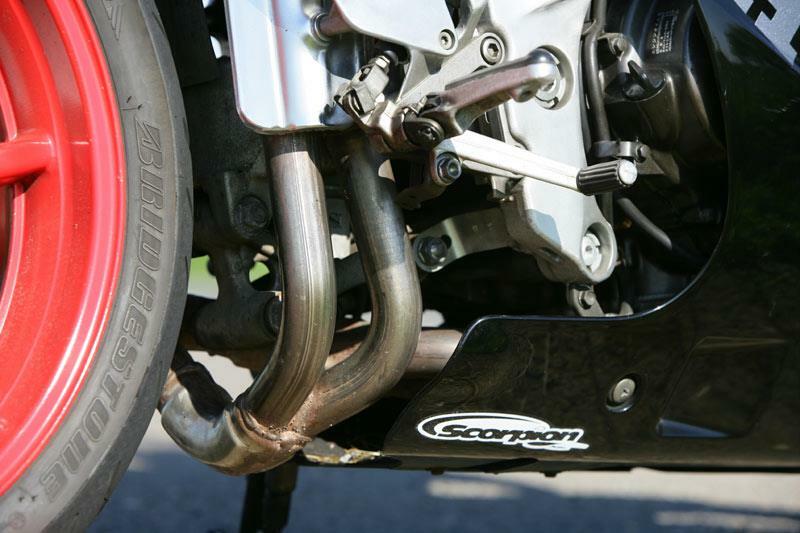 The single rear shock onto a single sided swing-arm is adjustable for pre-load and rebound only. There’s just enough room under the seat for storing waterproofs. 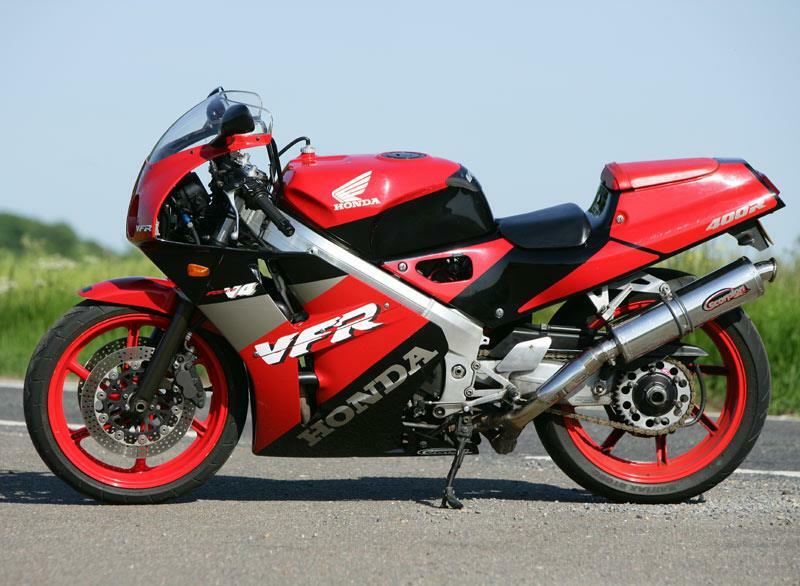 Compare and buy parts for the VFR400R in the MCN Shop. 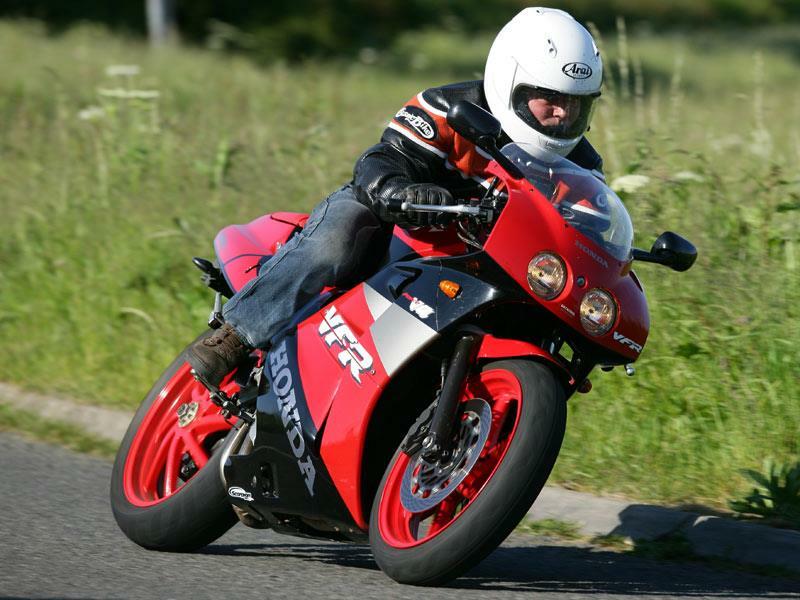 7 owners have reviewed their HONDA VFR400 (1988-1994) and rated it in a number of areas. Read what they have to say and what they like and dislike about the bike below. HIGH REVING, GEAR DRIVEN CAM SOUNDS SWEET!!! NEVER MISSES A BEAT, I RIDE IT DAILY AND IT IS FLAWLESS!!! IN AUSTRALIA PARTS ARE VERY EXPENSIVE AS I HAVE TO BUY ALL PARTS FROM EITHER JAPAN OR THE UK. 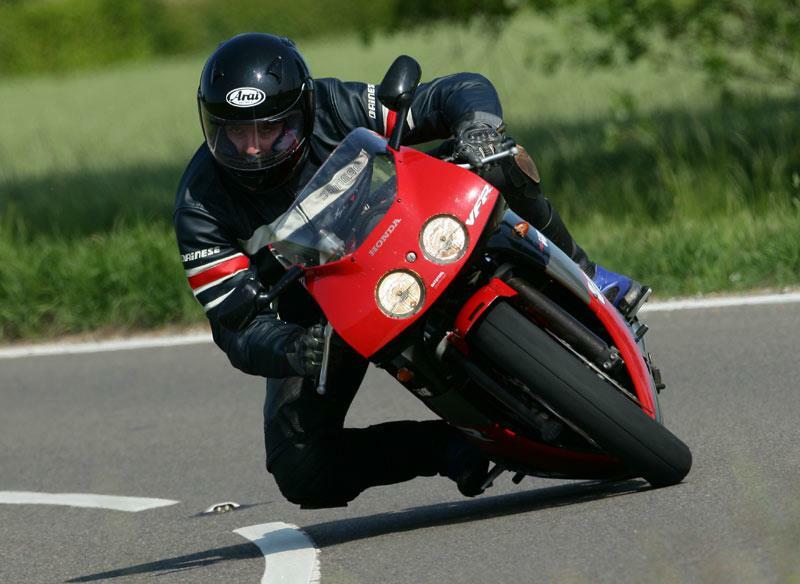 THE VFR400 IS QUITE RARE, ALTHOUGH IT IS BECOMING MORE POPULAR WITH THE LAMS LAWS AS IT IS THE FASTEST OF THE LAMS BIKES!!! SHINKO PODIUM 006 TYRES, ARE GREAT WET OR DRY AND FIT THE BIKE. So good, it's about time they reinvented it. A truly great bike that flatters good riding, forgives bad and always puts a smile on my face. After owning one for 4 years and selling it, I grieved for another 4 years before buying another. Styling is oh-so-90's, but also really cool. This bike turns heads everywhere, and even an average rider can run rings around someone on a modern 1,000cc sports bike on the twisties. Everyone should try one of these bikes at some point in their lives! While suspension is usually too soft, the ride is often crashingly hard due to the short wheelbase and cramped riding position. Don't buy one for comfort. The stock front brakes are adequate (but are really bad in the wet) while the rear doesn't do much other than stabilise the bike. I have SP1 brakes on mine and thus much greater stopping power. A flat torque curve, strong pull in the upper rev range and screaming, howling, whining & whirring like a banshee at high revs make for an excellent soundtrack, thanks to a 14,500 rpm redline and gear-driven cams. I liken mine to a miniature Spitfire. Aftermarket cans don't seem to free up much power, but save weight, add kerb appeal and heighten the soundtrack. There's a flat spot around 6,000 rpm on both the bikes I have owned, where the engine seems to bog down a bit, but it's easy to ride around. Clipping along at 70 mph sees the far side of 7,000 rpm, so it ain't no comfy tourer on the ears. I have seen the far side of 130mph on both my NC30s while tucked in behind the tiny screen. In terms of the gearbox, there's the characteristic '90's Honda *crash* from 1st to 2nd. My 1st bike was easy to find neutral on, while my 2nd is impossible without raising the revs to 2,500 or more. It has far fewer miles and I'm currently investigating why. Most will be quite old now and thrashed / crashed / abused. Still, my first bike had 40K+ miles on it and started first time with a charged battery, whatever the weather. Lower fairing pieces tend to crack at the bottom, head bearings take a hammering and have to be replaced, and the stock regulators are crap. Other than that, and age-related wiring, rubber component and thermostat problems, both of mine have been faultless, in spite of being ridden hard. Regular servicing and decent oil will see your NC30 last nicely. I take the battery out of mine for the Winter and leave it in a warm place in the house. Parts are now generally hard to come by from Honda (fairing pieces impossible) but loads of enthusiasts like Rick Oliver and parts archaeologists like David Silver can keep your bike going for you. Some Honda and other parts are interchangeable too like calipers from older 'Blades and the SP1, GSXR generators (lighter!) and an S1000RR rear shock. The 18" rear tyre limits rubber choice. A 17" VFR750 wheel can be made to fit, but I have never tried one. For its day it was fairly well equipped. Don't expect anything digital, or even a fuel gauge. Most are grey imports so clocks usually come calibrated for kilometers. These can be converted. Some also have a speed limiter that can be removed. Early bikes have preload-only suspension. You'll also get used to reaching towards your left thigh for the reserve fuel tap at 100 to 120 miles in to a ride when the engine starts to burble as it's starved of fuel. I have commuted on an NC30, but it's not a comfort ride. 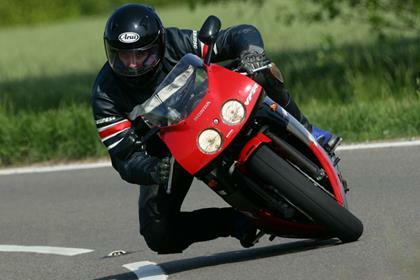 That said, with my 1st bike I had a VFR750 at the same time which was supposed to be my commuter, but I took the NC30 to work more than half the time because the 750 was so boring by comparison. I bought my first bike from a dealer and was a bit fleeced because I was inexperienced and using my heart and not my head. My second example came from a dear friend and is practically in concourse condition. My NC30 is my first 'big bike' after passing my test. Cheap, superb handling, beautiful engine, and in my opinion one of the best looking bikes I've ever seen. Don't be misled by the 400cc engine. It still has plenty of power, and you'll be hard pushed to find a better bike on the twistys. Aswell as the beautiful V4 engine sound. Only downside is parts, which can ocassionally be difficult to acquire due to its age, but thats probably not helped by mine being a Jap import with different electrics to the UK models. After about 6 years away from owning a road bike, through a very good mate of mine, I bought one of these for not a lot of money, basically to get my confidence and awareness to road riding back and believe me you will not be disappointed. Like the article says, go for mechanical rather than cosmetic, ie some sort of service history. There is shed loads of info on the web for this bike, great owners clubs, advice, etc, etc. The bike I was fortunate enough to own was, in my opinion, one of the best bikes I have ever ridden, the engine was strong, brakes were very good and it handled like a dream. I can only remember getting out of shape once, which was probably down to me anyway. Its only draw back and again it is down to myself is that it is a bit of a small bike! Yes, I have eaten too many pies! Why are my VFR400's indicators on the blink?